Let’s face it: the online world is saturated with advertising and people are ignoring it. Add in ad blockers, ‘banner blindness’ and simple inattention and it becomes very difficult to reach new audiences. So instead of increasing the advertising, we need to showcase our businesses to potential customers in a way they can’t ignore. One of the best ways to do that is through influencer marketing, which involves connecting with the potential customers through the people they already listen to and trust. Influencer marketing differs from regular target marketing in that it focuses on specific key individuals rather than the target market as a whole. It identifies the individuals that have influence over potential buyers and then directs marketing activities toward and around them. The influencers, in turn, will discuss, share and recommend your products to their followers. Influencers may be potential buyers or they may be third parties. These third parties exist either in the supply chain (customers, partners), as trusted advisors and thought leaders (bloggers, speakers, CxOs of businesses), or as value-added influencers (journalists, academics and industry analysts). Influencer marketing, as practiced in the B2B context, is comprised of four stages of marketing. This process moves the influencer from awareness to partner to evangelist. Marketing to the influencers: creating awareness of your company. Marketing through the influencers: using influencers to increase awareness of your company within your target market. Marketing with the influencers: creating a symbiotic relationship in which both influencers and you work together as advocates for both. There are definite advantages to marketing to the influencers. Here are several of the reasons you might consider doing it. Influencers come with their own audience. By working with the influencers, you’re reaching people who otherwise might not have heard of your products. Plus, since they’re indeed influential in their industry, their social media audience is large and likely very willing to listen to what the influencer says. So for the cost of reaching out to one influencer, you are reaching thousands of new prospects. An influencer talking about your brand is the best advertising you can get. You can promote your products as loudly as you like, but people tend to ignore it because it’s advertising. But when an influential member of their industry talks about your products, their followers pay attention. Why? Because influencers have an audience of people who trust them. The influencers aren’t seen as merely interested in making money from their audiences; they’re seen as people who deliver helpful information. Therefore, the audience responds because if the influencer has shown interest in the product then it must be worth a second look. Earning credibility with a large audience can take a good deal of time and effort. Influencers, however, already have credibility with their audiences. When they talk about your products, that credibility is transferred to you. When you focus on influencer marketing strategies, you don’t have to prove your credibility to a large audience. Instead, you can focus on demonstrating credibility to a smaller number of influencers and these influencers help you gain credibility with their followers. Social media influencer marketing often provides significant cost savings. With limited marketing funds to spend, businesses want to ensure they invest their budgets wisely. Since a list of influencers is much smaller than the large crowds of your target audience, focusing on influencer marketing lets you reach out to more people (the influencers’ audience) while spending less money than you would with other marketing strategies. Are you interested in learning more? 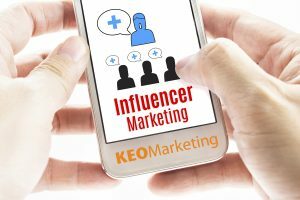 As an award winning B2B marketing agency, KEO Marketing can help you reach influencers in your market and move your business forward with influencer marketing. 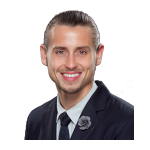 Christian has over 5 years of experience in social media content creation, curation and management. He is passionate about thoughtful, creative branding and storytelling, and enjoys helping companies develop a strategic social media strategy. In addition to social media management, he is an experienced photographer and copywriter for many B2B and B2C brands. His understanding of consumer outreach and engagement, along with his eye for design, helps our clients target new customers, re-position themselves in the marketplace, or strengthen their existing audience.